Seeking out information on your next vehicle purchase is important. That's why we take the time to create reviews on the Honda Honda Accord. Vandergriff Honda stands out from the competition with products and services made to assist you in your search.These well-written reviews will help you do just that. Filled with accessible information and specs, each paragraph gives you full access to everything the Honda Accord has to offer. Good luck on your Accord search! 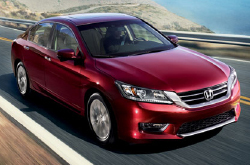 When considering the 2013 Honda Accord head-to-head with the 2013 Toyota Camry, Nissan Altima, Volkswagen Passat and the Hyundai Sonata, and you can spot that the Accord beats out those autos in several parts. Look through the hightlights below. Vandergriff Honda auto repair service in Arlington is only a click away! 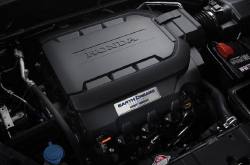 Your Honda deserves to be treated properly - that means Honda factory- trained technicians, authentic 2013 Honda Accord parts, and the sense of bliss that comes from a 12-month service work warranty. If you pass over repairing your Accord, its fitness could deteriorate, so drive it to Vandergriff Honda's service center in Arlington. Whether you need us to take care of a straightforward job as an oil change, or take on difficult Honda service and repairs like transmission rebuilds, strut and shock repairs, timing belt replacements. When deciding on a reputable shop to service your Accord, make a commendable choice and drive it to Vandergriff Honda, where you'll get affordable pricing on Arlington car service and repair. See the link underneath this text? That's your boulevard to savings! Push forward - click to see unbelievable coupon specials. **MSRP including tax, license, registration, $830.00 destination charge and options. Dealer prices may vary.